Introduction to Lean Manufacturing Principles, Part 1: What is Lean Manufacturing? I can already see from preliminary results of our Manufacturing Competitiveness Survey that there’s a lot of interest in Lean Manufacturing, so I thought I’d put together a multi-part series that introduces the guiding principles of Lean Manufacturing. 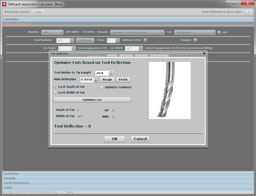 I am also adding a Home Page for Lean Manufacturing to our CNC Manufacturing Cookbook. Lean manufacturing is a business model and collection of tactical methods that emphasize eliminating non-value added activities (waste) while delivering quality products on time at least cost with greater efficiency. Lean manufacturing, Lean Enterprise, or lean production, often simply, “lean“, is a production philosophy that considers the expenditure of resources in any aspect other than the direct creation of value for the end customer to be wasteful, and thus a target for elimination. The emphasis on minimizing waste by getting rid of activities that don’t directly generate value for the customer is common to most definitions of Lean Manufacturing. While it is often thought of in terms of eliminating waste, once and organization is up to speed the Lean mentality becomes focused on preventing waste before it can ever take root. 1. Over Production: The whole “Just-in-Time” inventory initiative is largely about reducing over production. Parts sitting in inventory are not adding much value to the customer. There is some value in being able to take a part out of inventory and get it quickly, but having more parts than are needed to satisfy that goal is over production. When you overproduce, you have parts in inventory that are vulnerable to obsolescence and may be scrapped at a later date when they’re superseded. 2. Waste of Motion: Lean strives to reduce motion in the workplace as much as possible so as to eliminate wasted motion. 3. Excess Inventory: Inventory comes in a lot of forms, many of which are not finished goods, hence this is a different category than Over Production. For example, sub-assemblies, raw components, office supplies, and raw materials are all forms inventory. Excess inventory sits on the shelf waiting to create value. The goal of Lean Manufacturing is to only have enough inventory to create value as and when it is needed. Another form of Excess Inventory is Maintenance, Repair, and Overhaul. Lean’s approach to minimizing MRO is preventative maintenance so that machines are more reliable and you need fewer spares laying around. 4. Production of Defects: It sounds odd to think of “Production” of Defects, but the term emphasizes avoiding the Production of Defects. Eliminate them before they can happen, in other words. When defects happen, we’re faced with rework, scrap, or salvage, all of which are inherently wasteful activities. Fewer defects up from means less waste. None of that even considers the cost in customer terms when customers are exposed to defective product, so this is an important source of waste to eliminate for many reasons. 5. Waste of Waiting: Doesn’t it feel wasteful whenever you’re waiting for someone else before you can do your work? The Waste of Waiting can come about for many reasons including parts shortages, machine downtime, and in-process waiting, where the flow between different process steps is “lumpy” and involves too much waiting. Lean Manufacturing has several tools to reduce this waste including Standardized Material Handling and Kanban Systems for Parts Shortages and Preventative Maintenance for Machine Downtime. In-process waiting can be a little trickier. It’s still a waste of waiting whether the operator is waiting for the machine or the machine is waiting for the operator. 6. Waste of Transportation: Whether we’re talking about moving work in progress around the Shop Floor or sub-assemblies and parts through the overall Supply Chain, there is Waste of Transportation that could be minimized. It can be minimized by organizing the Shop Floor to minimize unnecessary Waste of Transportation. It can be minimized through your material handling and Supply Chain practices. 7. Waste of Overprocessing: In this category, the emphasis is on eliminating any processing that does not add value to the customer. For example, trimming plastic parts that will not be visible can be eliminated. Deburring parts when the deburring doesn’t add any value is another example. Often, Waste of Overprocessing can be reduce by finding better methods. Such methods can ideally eliminate a separate step, but they may also simply reduce the costs by allowing a cheaper machine or tooling to do the work. 8. Waste of Product: This is the waste of producing a product that doesn’t meet the customer’s demand or specifications. 9. Waste of Skills/Workforce: This is the waste of under utilizing the available skills of the workers. While Lean Manufacturing continues to evolve new methods and ideas, its history can be traced back to pioneering work done at Toyota that resulted in what was called the “Toyota Production System.” The TPS was developed by Toyota executive Taiichi Ohno during the post-Second World War reconstruction period in Japan. It was popularized in the West by the 1996 book Lean Thinking by Womack and Jones. The Japanese roots at Toyota account for so many Japanese words being used to describe Lean Principles and Tools. There are a number of areas that are not part of Lean Manufacturing per se, but that overlap it and are compatible with it. For example, Six Sigma and ISO 9000 are both focused on improving quality, which is certainly something near and dear to the hearts of Lean Manufacturing advocates. – 5S: 5S is all about organizing the work area to prevent waste. It is the most commonly implemented Lean Methodology according to many sources and a great way to get started walking the Lean path. – Kaizen: Kaizen is the practice of continually soliciting everyone to proactively work together to achieve Continuous Improvement. Regular incremental improvement to processes over the long term can achieve some amazing results. Kaizen force a more egalitarian way of thinking about improvement and includes “Gemba“, which is the practice of leaving the practice to get down onto the Shop Floor and see first hand what’s happening there. – Standardized Work and Takt Time: Standardized Work (also called Standardized Work Instructions) is just another way of saying documenting and following Best Practices which are subject to continuous improvement as new ways to eliminate waste are discovered. Takt Time means pacing production to meet Customer Needs. – Kanban: Kanban is a system of regulating the flow of goods in what is called a “Pull System”. 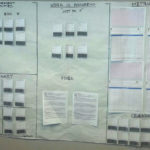 As we shall see, Kanban card systems can be used to regulate a variety of processes to make them more efficient. Pull systems are a way to realize the Just in Time ideal. – Poka-Yoke: Poka-Yoke is “Error Proofing” (what we often call “Idiot Proofing”, but less pejorative). Poka-Yoke is preventative in nature because it prevents errors from happening in the first place rather than finding and correcting them via inspection. We want to reach the ideal of Zero Defects wherever possible to eliminate the waste associated with defects and errors. – Visual Factory: Making the state of manufacturing processes easily accessible and very clear to everyone to improve the communication of information. There are many other tools available for Lean Manufacturing, but these are the ones we’ll drill down on in more detail for this article series. As each new article becomes available, we’ll add a link to the list above as well as link the articles together in order at the bottom of each article. If you like this article, please pass it along to your friends, either via email, posting to your favorite boards, or by clicking one of our buttons below to Tweet, Like, and so on. We really appreciate it! Kaizen: Continuous Improvement through Good Change. Lean Manufacturing Part 3. 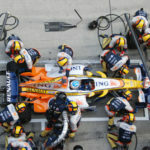 Takt Time isn’t ‘pacing production to meet customer needs’. It’s pacing production. Basically you want to balance the activities on the production line so there’s a smooth flow. If one operation take 5 minutes but the one before it takes 6, the 5-minute operation is forced to wait a minute unless you have a pile of in-process work (bad: see Excess Inventory). You get the same problem if the 6-minute follows the 5-minute; either in-process work builds up between the operations or the 5-minute guy is idle for a minute every cycle. A Henry Ford type assembly line pretty much forces every op to the same Takt Time ’cause the car will be out of your station if you aren’t working to the rate. Car lines, btw, start with slow Takt Times after model year changes or other major reconfigurations so the kinks can get worked out and then the line is gradually sped up to the target rate (assuming there’s sufficient demand). 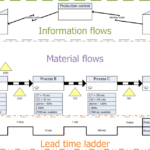 Assuming the cycle times of the operations are reasonably balanced, using Kanbans (whether the simple card-based system Toyota came up with in the ’60s or ’70s or a more sophisticated automated version provided by your line management or inventory software; we used to tune the Kanban sizes dynamically based on the needed rate-per-day) can help drive down the in-process inventory. But small Kanbans (ie a small number of in-process work items) between operations only works if the process is reliable. Lastly, all of this doesn’t work too well if the processes are defect-prone. Traditional manufacturing threw safety stock at this; if you have enough work-in-progress you can keep the operations that are working OK going while you repair the equipment, rework defective stock, etc. 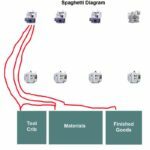 You sidelined Six Sigma in your list – yet another discipline to control variance in the product, which reduces waste, roots out process variance problems and (when done well) pushes problems back to design fixes, which leads to Design for Manufacturing – design it to be manufacturable in the first place. Back when IBM made printers, they designed the ProPrinter (circa 1985) to be assembleable by the robots of the time; all the assembly was straight down, pin-in-holes were tapered, all snap-fits, no threaded fasteners, etc. It could be put together by the robots, yes, but the effort was so low that a human could do the assembly in under a minute; they eventually mothballed the robots and had people do the work. BTW, inventory (whether purchased parts, raw materials, in-process work or finished goods) isn’t necessarily bad. But you had better have a good reason for it – long procurement lead times vs. desire for short order-to-delivery for example. Or demand that isn’t smooth, say seasonal goods. The best manufacturing operations intentionally plan the inventory levels to optimize their ‘value proposition’. Charlie, in fact Takt time really is pacing production to meet customer needs. All things Lean are about various aspects of wasting as little as possible to meet customer needs. What you’re describing, pacing to avoid waste, is also a part of it. If you don’t believe me, just Google, “What is takt time?” Start from the top and you’ll find pacing to meet customer need mentioned over and over again. That said, you’ve giving a great introduction to how Takt pacing can work on individual process steps–thanks for that! Lots of things are sidelined lest we never get done with all the individual articles. I will pick up Six Sigma and ISO 9000 at a later point as they’re important topics. Heck, I may even add them on the end. And you’ll note that at no time did I ever say inventory in and of itself was bad–just that excess inventory is bad. The main thing though is to get away from the pedantics and into the actual implementation. That will be the subject for our follow up articles in the rest of the series. Great break down of lean manufacturing! I would love to see an article about TPM.